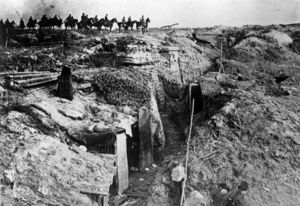 General Erich Ludendorff's German Spring Offensive of 1918 was one of the last great offensives of the First World War and an abject failure. When the offensive ultimately failed, and the allies were able to beat back the German attacks. The German Spring Offensive of 1918 was the last effort by Germany to win the war, and its failure meant that the Central Powers had effectively lost. If the Spring Offensive had succeeded in the outcome of the war and the course of history in the Twentieth Century would have been very different. The German Spring Offensive stalled for a variety of reasons including inadequate supplies, stubborn Allied defensive tactics, an over-reliance on German Stormtroopers, and the German military overestimation of their offensive capabilities. The German army was under the direction of General Erich Ludendorff, by this stage in the war, his old collaborator Field Marshall von Hindenburg was only nominally German Chief of Staff. He was the mastermind of the Spring offensive in 1918, which is often referred to as the "Ludendorff Offensive." On the face of it, Germany and the Central Powers were in a strong position in early 1918. After the Treaty of Brest-Litovsk, the Russians had withdrawn from the war, and the Germans had secured new territory in the east. Romania had been defeated, and Italy and Greece were no longer a threat. By 1918, it was clear that the Great War would be decided on the western front. The German command knew that after America joined the war, they could potentially tip the balance in favor of the allies. By early 1918, the Americans had already begun to make a difference on the western front. Germany was concerned that if they were allowed to build up their strength, the allies could inflict a decisive defeat on Imperial Germany. Furthermore, as a result of the allied naval blockade, Germany was on the brink of starvation. Unrest and labor strikes had become common in German cities. Ludendorff was in a race against time because Germany had to defeat Britain and France quickly or they faced almost certain defeat. Ludendorff believed that they had only one last chance to strike a decisive blow against the allies before it was too late. He was a realist and knew that the situation was grave for Germany. The Treaty of Brest-Litovsk allowed the German Army to transfer some 50 divisions from the eastern to western front, in early 1918. Ludendorff decided to use these divisions in his last offensive and force the Allies to sue for peace. Germany first shifted fifty divisions by rail from the east to the western front. Ludendorff decided that the goal of the offensive would be to divide the British and the French armies. The British were mainly based in northern France, while the French army was located in the center and east of France. The Germans wanted to drive a wedge between the British and the French. They intended to drive the British back to the Channel Ports. Concurrently, the German command planned to seize the remaining ports in Belgium. They hoped that by defeating the British that they would seek peace terms with Germany and after capitulating, the French would be forced to negotiate with Berlin. Also, this outcome would persuade the Americans to seek a negotiated settlement with the Germans. The Germans knew that it was almost impossible for them to achieve outright victory and that their only hope was some form of advantageous negotiated settlement. The German strategy relied on the widespread use of Stormtrooper units and formations. These were highly mobile soldiers who would storm the allies’ trenches and then attack their rear, disrupting supply lines and communications and especially destroying artillery. The Stormtroopers were the elite forces of the German army. The best men were used to form these units, and they received specialized training and advanced weaponry. They were to be used as the spearhead of the German advance. The German command hoped that the Stormtroopers would quickly occupy key strategic positions. The speed of the Stormtroopers was expected to deliver victory on the western front. The Germans also used short, massive bombardments before the assaults, a tactic that had been previously used with great success on the eastern front. The Offensive took place throughout one hundred days, and four or five major battles are identifiable during this phase of the war. The first major operation of the Spring Offensive was Operation Michael. On 21 March 1918, the German Stormtroopers launched an attack against the British Fifth Army and the right wing of the British Third Army. By the end of the first day, the British had suffered some 50,000 casualties, and the Germans had broken through at several points. The British Fifth Army after two days was in full retreat and the Third Army was also forced to withdraw from its positions as its commanders feared being surrounded by the Germans. The French dispatched several divisions to halt the German advance, and they helped to slow and eventually to halt the German advance. The German attack had achieved real and substantive gains, but it was not a decisive defeat for the British in particular, who regrouped and established a new line of defenses. The British were forced to send their reserve units to support the British Third and Fifth Armies. This shift left them very weak on their flanks, especially in the sectors around the Channel Ports. The Germans targeted the Portuguese Second Division. The Portuguese were spread very thin and expected to hold a very long line. The Germans launched a brutal artillery assault on their positions, and the Portuguese Division fled. The Stormtroopers soon entered the breach in the line and pushed several miles towards the Channel Port of Dunkirk. Fearing that they were being outflanked, the British Divisions withdrew and formed a new defensive line on the River Lys. It was feared that if this line did not hold, then the Germans could press forward and take the Channel Ports. Had the Germans succeeded this could have dealt a decisive blow to the Allied war effort. The French again sent reinforcements, but before they even arrived the Germans had come to a halt, as their supply lines became overextended. The Germans then turned their attention to the area where the British and the French lines met. Ludendorff wanted the Stormtroopers to drive a wedge between the two armies. 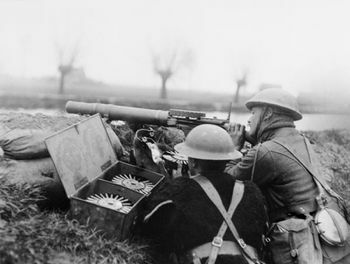 The Germans after a brief, but heavy bombardment, attacked several weakened British Divisions in and around Reims. They pushed them back many miles, and the Stormtroopers almost advanced to the Marne, causing people to flee from Paris. Once again the German advance stalled and they were not able to push towards Paris. The Germans then immediately turned their attention to the French army and launched a surprise attack on French positions near Amiens. 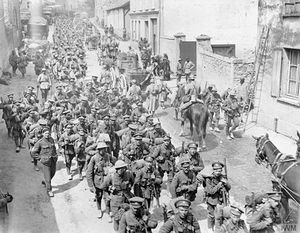 This was once again successful at least initially, but a French counterattack, supported by the Americans, halted the Germans in May 1918. The Germans had so far had some real success. Ludendorff was aware that he needed to inflict a decisive defeat on the allies. They had already received more support from the Americans than expected, and this concerned the German High Command. They decided to try one last all-out assault to break the allies will to fight and bring them to the negotiating table. This attack was called by Ludendorff "the Peace Offensive" because they believed that if it succeeded, it would lead to a peaceful resolution of the war in Germany’s favor. The Germans attacked the French and the British in and around the River Marne in mid-July 1918, this battle is sometimes referred to as the Second Battle of the Marne. The French had strongly fortified this sector to protect Paris. The Germans had lost many of their best men, and they were running low on supplies. Moreover, they had lost the element of surprise, and a German prisoner had informed them of where and when the attack would take place. This German assault, unlike the earlier attacks, did not yield any significant results and the French lines held. Ludendorff had to evacuate some divisions fearing they would be outflanked and this ended the German Spring Offensive. This series of attacks yielded large territorial gains for the Germans, at least when compared to previous offensives. The Germans did not inflict a decisive defeat on the allies, and they failed to drive a wedge between the British and the French. Additionally, they utterly failed to force them to the negotiating table. The territory that the Germans had gained meant that they had an extended their supply lines. Their army was thinned across the front and was susceptible to Allied counterattacks. It has been argued that despite the territorial gains that the Germans were left in far weaker positions after the Spring Offensive than before the attacks. The Germans lost many men during the battles in the Spring of 1918. It has been estimated that the strength of the German army had fallen from just over five million in March 1918 to just over four million by the Autumn of 1918. The allies had also suffered many losses, but these were made alleviated by reinforcements from the United States. By Autumn, the German army had all but collapsed, leading to the Armistice of 1918 and the defeat of the German Empire. The Germans failed for a variety of reasons. First, Ludendorff failed to set out clear objectives. He constantly changed his mind and deviated from his original plans and goals. This caused some confusion in the German chain of command. Then there was the over-reliance on the Stormtroopers, they were among the finest soldiers of the First World War, but after the first assaults they suffered heavy casualties and the Germans could not effectively replace them with the same quality of troops. This meant that the Stormtroopers quickly lost their effectiveness due to the high casualty rate. This reality was demonstrated at the Second Battle of the Marne, when they failed to achieve any sort of breakthrough. Ludendorff also failed to support the Stormtroopers when they did advance. The German army lacked mobile units, such as cavalry made to reinforce the newly captured territories. This made the Stormtroopers very vulnerable to any counterattacks during the offensive. Furthermore, after the first battles the allies reinforced their defensive positions and this made any German breakthrough even harder to achieve. The German military during the offensive faced a critical shortage of supplies. The German economy was on the verge of collapse, and it could barely feed its people. This was perhaps the main reason why the German Offensive in Spring 1918 ultimately failed. The German army was often hungry, and its advances were often slowed as hungry troops pillaged captured allied supply depots. There was also a critical shortage of fuel for tanks and the German planes. This allowed the allies to retain air superiority during the offensives. Then as the German-made rapid advances, their supply lines were unable to keep pace, and this results in shortages of everything that slowed the advance. On several occasions, the Germans simply stopped their progress, not because of ally’s resistance but because they had run out of supplies. The great German Spring Offensive was a failure. It failed to inflict a decisive defeat on the allies and force them to negotiate a peace settlement. The Germans offensive was well planned but its goals had been poorly defined and they often changed. The German army by 1918 was poorly supplied and this greatly constrained its ability to fight and to press home its early gains in the Spring of 1918. The offensive was a partial success in terms of territorial gain, but it proved very costly. The allies had been badly hit but they had not been broken. At no time did the French or the British consider negotiating with Berlin, partly because they knew that the Americans would soon flood the western front with men and material. The German army after the demands and losses of the offensive was very weak and when the allies launched a massive Autumn offensive they simply collapsed and this led to the end of the war and an allied victory. ↑ Zabecki, D.T, The German 1918 Offensives: A Case Study of the Operational Level of War, (Taylor & Francis, London, 2005), p 56. ↑ Middlebrook, Martin. The Kaiser's Battle: 21 March 1918: The First Day of the German Spring Offensive. (Hammondsworth, Penguin. 1983), p. 111. 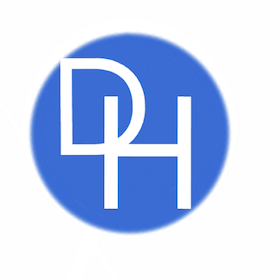 This page was last edited on 28 January 2019, at 23:46.